Voestalpine High Performance Metals (formerly Böhler-Uddeholm AG), one of the world’s largest manufacturers of tool and special steels, invests in SECO/WARWICK technologies to increase its production capacity. The global leader in steel manufacturing, already using SECO/WARWICK equipment, is now expanding its processing capabilities with a 15 bar vacuum furnace with high-pressure gas quenching and a retort tempering furnace. “Tool steels are particularly demanding materials, with high durability requirements such as high hardness, wear and temperature resistance, and adequate impact strength. This is why even the smallest fault during the heat treatment process can result in faster wear, warping, or even breaking of components, which entails financial losses. SECO/WARWICK is well aware of it all, and our long-term cooperation is a proof not only of our expertise in the matter but also of the reliability and quality of SECO/WARWICK equipment,” said Zbigniew Nowacki, head manager of the Böhler Uddeholm Polska heat treatment facility. For Böhler Uddeholm Polska, the Polish branch of voestalpine High Performance Metals, the first machines were delivered to the quenching plant in the city of Mysłowice. Currently, two more SECO/WARWICK solutions are being developed for the Böhler Uddeholm Polska in ‎the town of Łomianki. Outside Poland, SECO/WARWICK carried out similar projects for voestalpine branches in Slovakia, Romania, China, Mexico, Canada, providing over a dozen solutions during the five years of cooperation. Tool steels are widely used in manufacturing tools for forming metals (by forging, machining, cutting, pressing, stretching, rolling, or casting), polymers, ceramics, and composites. Tool steels must therefore be durable and long-lasting, but most of all, hard and resistant to impact, warping, wear and heat. Processing standards were formulated in order to ensure the quality of large-size tools (casts and moulds). The most common ones were created by NADCA (North American Die Casting Association). The NADCA guidelines, as well as all the global standards of tool steel hardening, can be complied with thanks to our single-chamber vacuum furnace with a high-pressure gas quench (HPGQ) system. “SECO/WARWICK offers special 15VP furnaces for heat treatment of tools, meeting even the strictest of industry standards, delivered to customers worldwide—in many European countries as well as the US, Canada, Mexico, Brazil, China, India, and even Australia,” according to Maciej Korecki, VP Vacuum Business Segment at SECO/WARWICK. The gas quenching capabilities of our 15.0 VPT furnaces were tested and proven on a 400/400/400 mm reference steel block, achieving rates in the range 40–80oC/min (as compared with 28oC/min required by NADCA and 39oC/min required by GM). Other than tests, the reliability of SECO/WARWICK technologies and equipment for heat treatment in vacuum and in atmosphere is confirmed by the ever-increasing number of orders and customers. SECO/WARWICK’s experience in creating those solutions reaches back to the 1970s, when vacuum technologies in heat treatment began to appear in the aviation, automotive, defense, metal processing, medicinal, nuclear, and machine tool industries. Over the last 25 years, we have grown fast, and delivered over 700 complete installations in over 40 countries, with many of our technologies challenging the traditional ones. 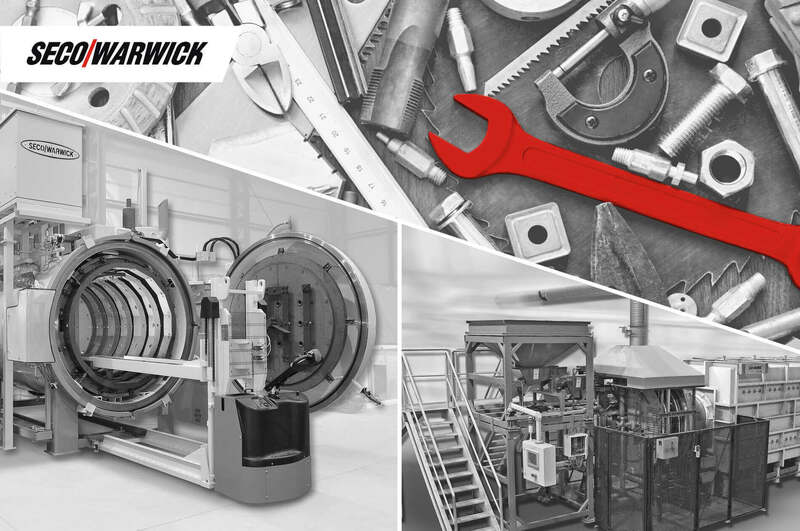 Learn more about SECO/WARWICK equipment.